Micheal Jackson as the King of Pop, his music and dance have influence on his time and the future. 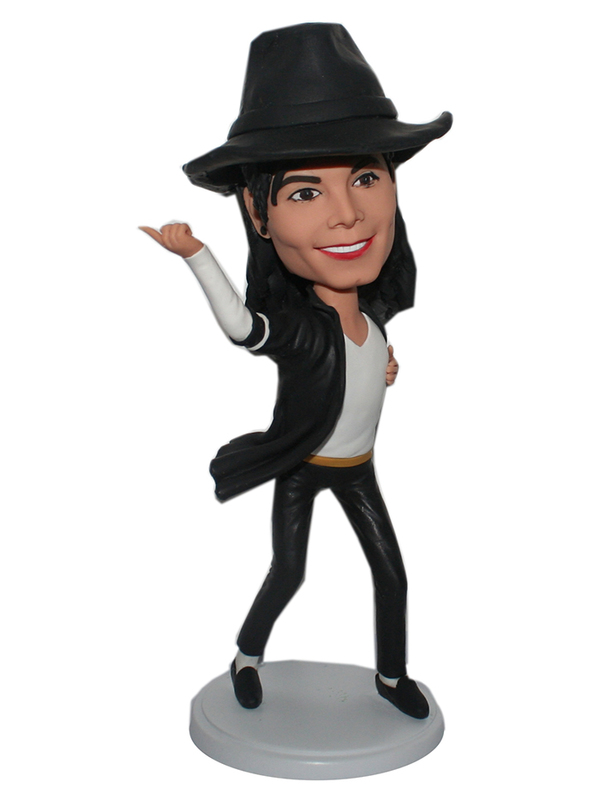 This custom bobblehead is just immitating the famous star-micheal Jackson. Are you the fan of Micheal Jackson? Are you crazy about his dance and music? Than you should definitely make one for yourself. 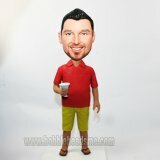 As a star is not that easy,but let this bobblehead doll as your source. Put your face on this handsome custom bobble body and keep reminding yourself-as long as exert yourself enough,anyone can be star. It aslo a good gift for the one who are pursuing acheivement in music. Make a Micheal Jackson bobblehead of yourself.